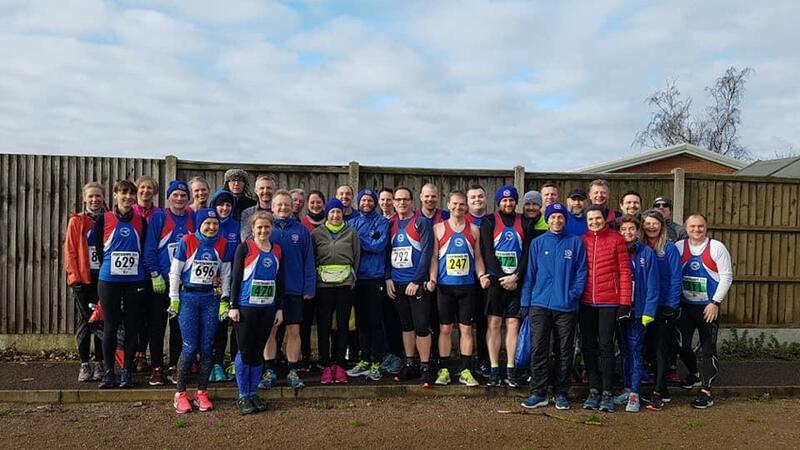 39 Great Yarmouth Road Runners (GYRR) braved the icy winds to tackle the undulating Freethorpe 10 miler. Starting and finishing in the village of Freethorpe but also weaving through the villages of Reedham and Limpenhoe, the weather made this a particularly harsh run. The rain held off and the sun peeped through as a welcome consolation. In a field of 638 runners GYRR clocked some impressive performances. Starting the new racing season, with an outstanding PB of 1.06.04, was Andrew Dormer who also collected 2nd in his group. The newly appointed men’s team captain was delighted with the result. Many more PBs were achieved which is testament to the grit and determination on such a cold and windy day. Amongst those PBs included Andrew Thomas, James Bool, John Algar, Nicola Baker, Eirrin Thompson, Francesca Turner, Chris Tyrrell and first timer at the distance James Ludlam. Bringing silverware home were Andrew Dormer (2nd in age), Jo Anverali (3rd in age), John Bone (1st in age), Anna Coulborn (3rd in age) and Carole Spong (3rd in age). All smiles! Brilliant job Chel Alexander and Ali Bilyard who captured the best of us in these conditions! Well done to the team and to GYDAC for a well organised and supported race. Andrew Dormer 1.06.04, Andrew Baker 1.10.36, Andrew Thomas 1.12.46, James Bool 1.13.07, Paul Reeve 1.13.41, John Algar 1,14.10, Mark Stone 1.14.17, Penny Studley 1.15.13, Jo Anverali 1.15.34, Kev Fuller 1.15.34, Nicola Baker 1.15.54, Lee Harvey 1.16.49, Gary Pillar 1.17.02, Ian Tooley 1.17.55, Eirrin Thompson 1.17.56, Fran Turner 1.18.39, Gareth Davies 1.18.43, Chris Tyrrell 1.22.47, Ivan Lees 1.23.00, Mark Ollett 1.23.14, John Bone 1.23.43, Iain Johnstone 1.25.30, Anna Coulborn 1.26.32, Kelly Shaw 1.26.54, Rachel Ollett 1.29.07, Jane Middleton 1.33.22, Rachel Acamon-Carbonelli 1.35.03, Tony Ludlam 1.37.11, Tracy Campbell 1.37.32, Carole Spong 1.37.57, Kate Wakefield 1.39.52, Steph Deeks 1.40.00, Stephen Swallows 1.40.10, Anne Standerwick 1.40.42, Cathy Tooley 1.42.54, Naomi Hills 1.51.02, James Ludlam 1.51.05, Elaine Haggarty 1.51.28, Katherine Audus 2.12.50 and Bob Arnell 2.16.57.